PlayStation 4 And Xbox One Games Cyber Monday Deals For U.S.
Black Friday deals are over and Cyber Monday Deals are covering up now. Gamers can get a lot of great games and the latest gaming consoles at the stores this week. PlayStation 4 and Xbox One Cyber Monday deals are now live, grab the consoles before the stock runs out. PlayStation 4 and Xbox One Cyber Monday Deals For U.S.
PlayStation 4 and Xbox One units have been extremely difficult to track down after the huge launch day success, many retailers went out of stock soon after the release. Only some selected retailers managed to introduce Black Friday deals for the latest consoles but if you missed out those deals, you can still avail PlayStation 4 and Xbox One Cyber Monday deals. PlayStation 4’s growing demand is causing unavailability of stock in major stores but still people can take advantage from PlayStation 4 Cyber Monday deals. However, only some retailers are offering Cyber Monday deals for Sony’s latest gaming console. Walmart is offering best PlayStation 4 Cyber Monday Deal. 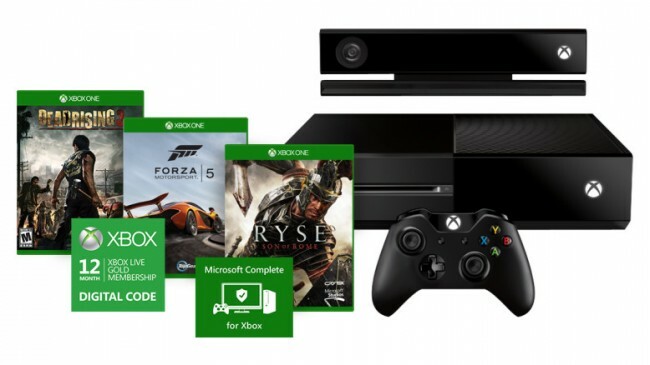 The console bundle is priced at $517 and it includes the console, controller and a game. Amazon is selling games for PlayStation 4 at decreased prices. Visit Amazon Cyber Monday video game deals hub for PlayStation 4 games. 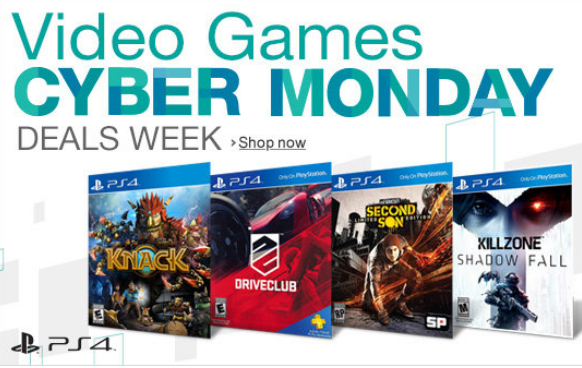 GameStop also has various PlayStation 4 games in the Cyber Monday video games section. Xbox One is the latest gaming console by Microsoft and it has broken all the company’s sales records since its release. The console was not widely available in Black Friday deals and some retailers that were offering the console went out of stock very quickly. If you missed Xbox One Black Friday deals, here are some Cyber Monday deals that could be worth spending money on. Microsoft store has reduced prices for Cyber Monday on couple of Xbox One bundles. Xbox One Day One Complete Bundle comes at the price of $699.95, it includes the day one version of the console, Xbox Live 12-month gold membership, Microsoft complete for the console and two games of the customer’s choice. Xbox One Day One Ultimate bundle at Microsoft Store is available for $799.99, the bundle includes day one version of the console, Microsoft complete for the console, Xbox Live 12-month gold membership, one Xbox One controller and three games of the customer’s choice. 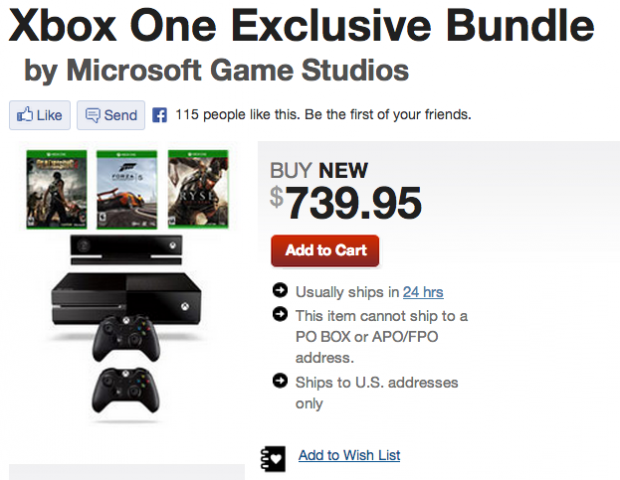 GameStop is offering immediate delivery on Xbox One Bundle. The price of bundle is $739.99 and it includes the console, one additional Xbox One controller and three games that are Forza 5, Dead Rising 3 and Ryse: Son Of Rome. Walmart is selling Xbox One for $559 with customer’s choice of game or accessory. Amazon is not offering any deals on the Xbox One but the retailer has reduced prices for the Xbox One games and controller. Following are three best games for Xbox One.